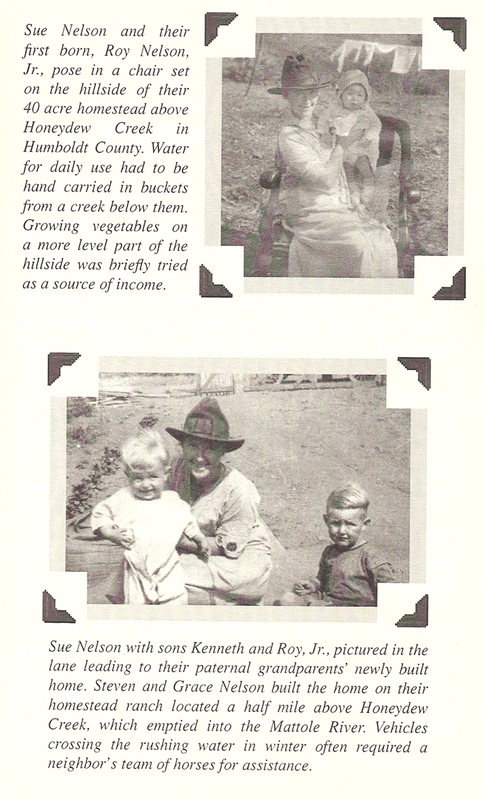 Here are a couple of pictures from the Bancroft Library at UC Berkeley that i found online. 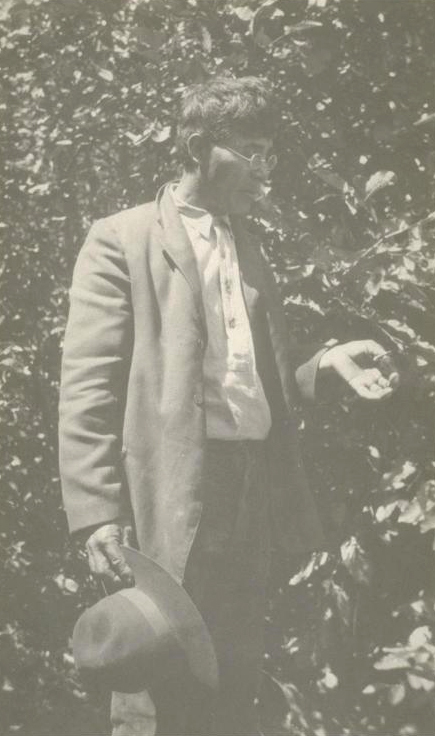 Joe Duncan, who learned his language before the first white person was seen in the Mattole Valley. 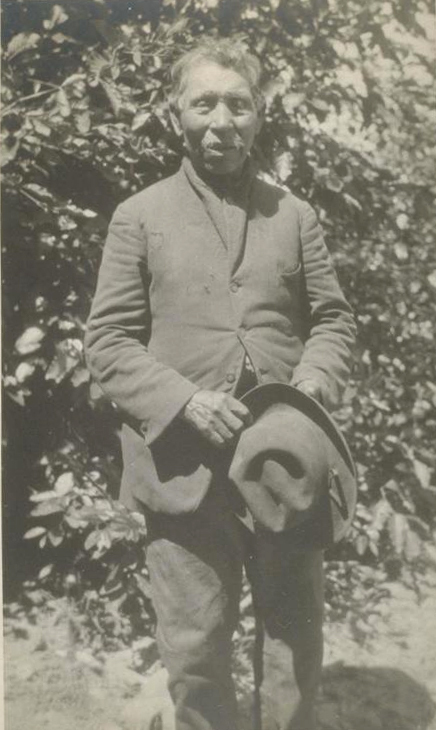 Born perhaps c. 1850, he was informant to anthropologists here in the 1920s. 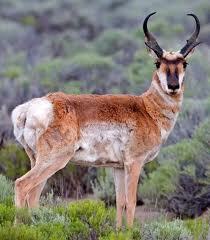 His Indian name was something like "Taralash". Both these pictures are of Isaac (also called Ike) Duncan, Joe’s son. 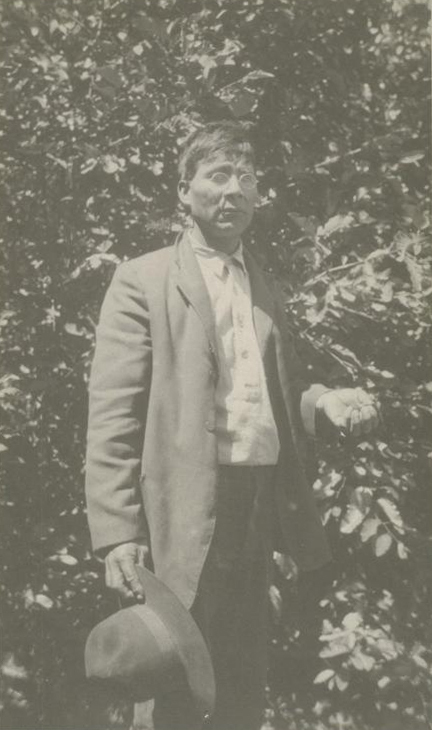 I recently learned that Leonard Bowman, chair of the Bear River Band (Rohnerville rancheria) is Ike’s descendant. 1923 photo. 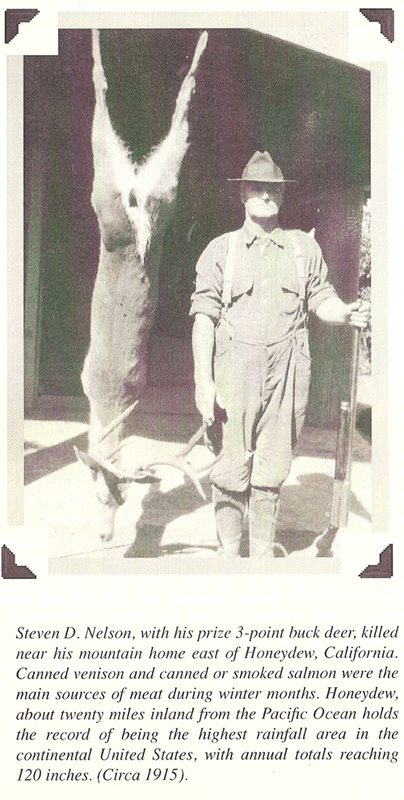 The Mattole Indians were known to be along the Mattole River, but they were supposed to be extinct. That is to say, all the Mattole Indians had died. But there was news that there were still one or two still alive. One of our projects was to make a record of all those Indians that were still alive, because after that, that language would be dead; it would be no more. As a matter of fact, that is the case. 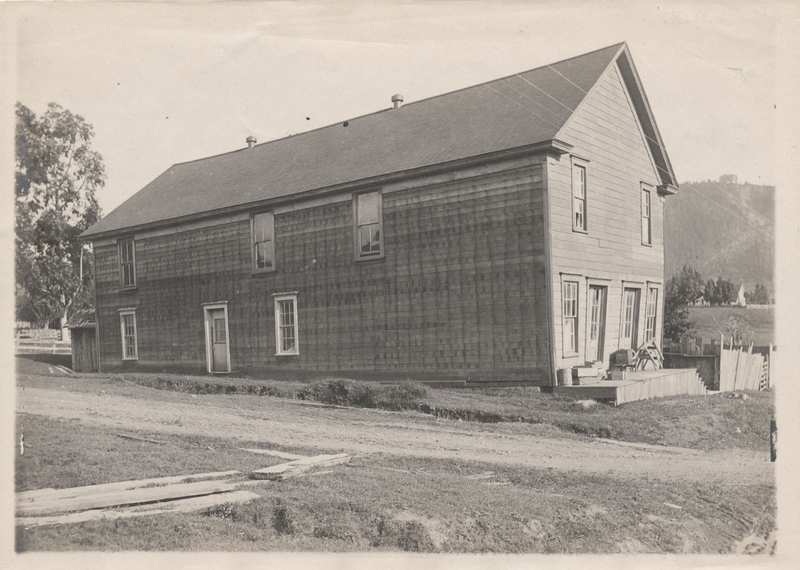 I took the material of the Mattole Indians after I got to that place and did about four or five weeks of recording texts and grammar and so on. After I left, I know that all the Indians of that tribe died [this is not quite true; however, Native speakers of the tongue were probably hard to find by the 1920s], so my record of that language is still the only record of the language. After I left Hoopa Valley I went to some place called Fortuna, in order to look for the Mattole. So I wandered around all over that area in a taxi, asking where the Mattole Indians were. It was a kind of wild goose hunt. 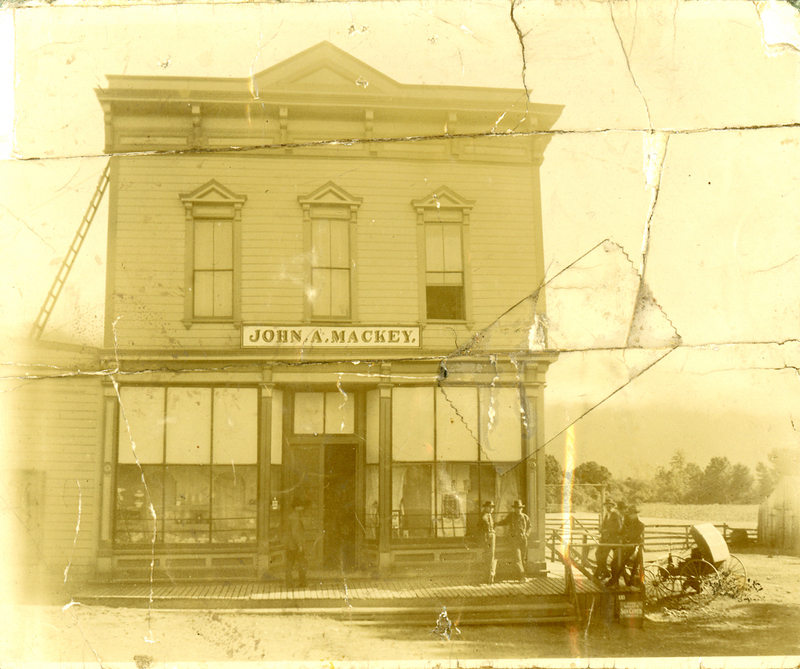 But some people said, “Well, further south along the Mattole River you may find some Mattole Indians.” There was no bus or anything but a kind of a so-called post truck, that sent letters from one village to the other. So I took one of those trucks and went down to a small town called Petrolia. It was called Petrolia because it was thought at one time that there would be oil in that area, so that little town was called Petrolia. I stayed in a hotel and started asking whether there were Mattole Indians there or not. They said, “Well, yes there are Mattole Indians, but they are on the mouth of the Mattole River on the Pacific Ocean. 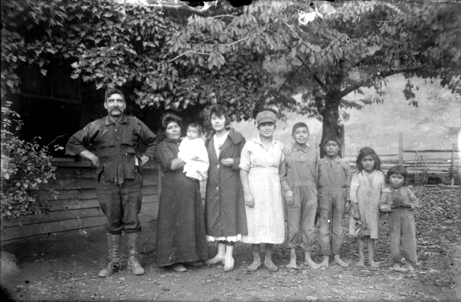 There is one family we know there who are Mattole Indians.” It was about, oh, three or four miles from Petrolia. He said, “Oh, this is an old horse.” He said, “Now you take this, and if you follow the river, you’ll go down and get to the place. When you come back, take the horse to the stable.” He didn’t want to have any money paid. So now the first time I took a trip on that horse, and went down to the mouth of the river and met these two old Indians. One was very old, seventy something, the other was about forty, fifty, something like that. I started asking them questions about their language. The old man, I think was blind or something. I asked them, “Will you teach me how to speak the Mattole language?” He apparently was willing. I said, “It is impossible for me to make a trip every day to your house. You have a horse. At that time I inquired of Kroeber what was the normal rate to pay an informant. This is important, because you have to know the local rate in order not to pay more than the University of California, you see. Because that would have spoiled their game. Kroeber said, “Oh, pay him about forty cents an hour.” Forty cents an hour, for one day of six hours. “You pay him two dollars something, and you give him a lunch.” At that time that was quite sufficient; forty cents an hour was the going rate for the University of California. So I told him, “I am going to pay you forty cents an hour,” and he was happy because he wouldn’t be able to get anything, normally. So he came every day to me, and I got some material for a little bit over a month. I found him very dull, a very dull person. He didn’t know how to get your point, what you asked. And he could not–I said, “Can you tell me a story?” I thought I would give him–. No, he didn’t know how to tell story. [all laugh] It is a difficult thing. You do get informants that cannot tell stories. If you ask you, yourself: “Can I tell me a story?” You’ll search, but you may not be able to find any story to tell. So he could not tell a story. This was the younger person? Yes, the old man could not come out; he was blind and over seventy years old. He could not come to me. He probably knew the stories. I got mostly grammatical material, like “I come, you come, he comes,” and so on. This kind of grammatical material which you could easily get from him. Or, say, “I go from here to there,” and so on. So, after a little over a month I found that this was getting a little bit–the, how would you say it? Economically it is called what, the limit of returns? John Jackson, a.k.a. 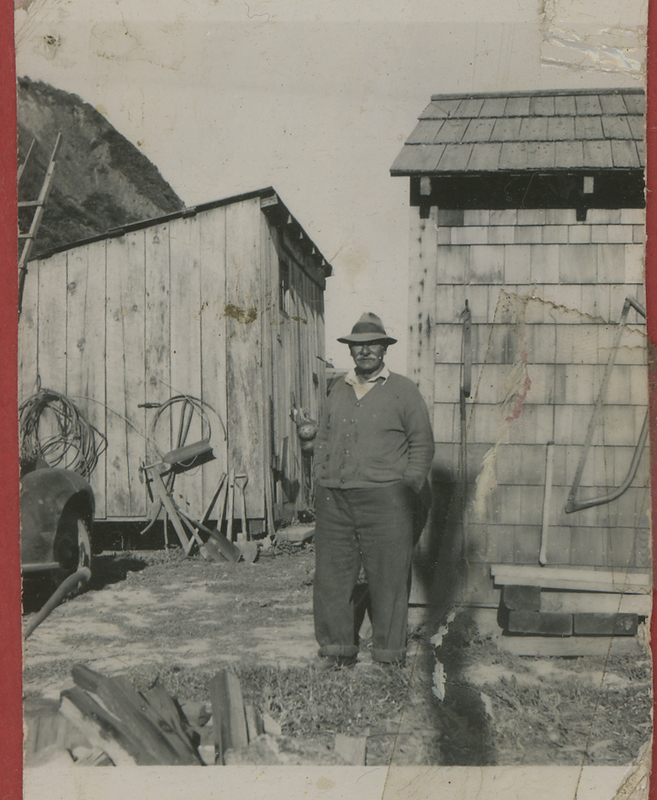 Johnny Jack, at his cabin at the mouth of the Mattole. He had a daughter named Cora (Greslik, then married to an Everett Anderson) who was around here up until the 60s, at least. 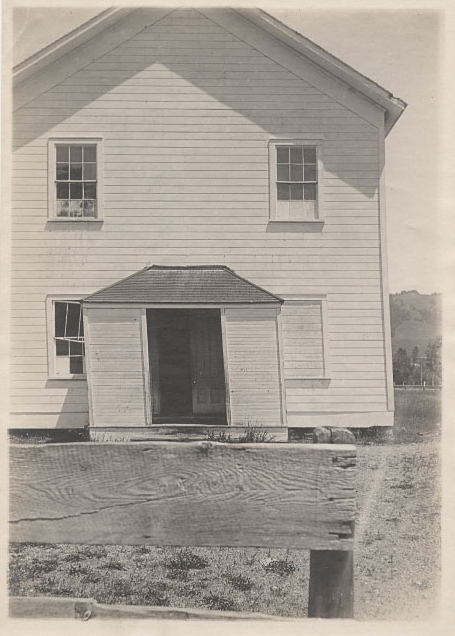 This photo from the Mary Rackliff Etter collection. 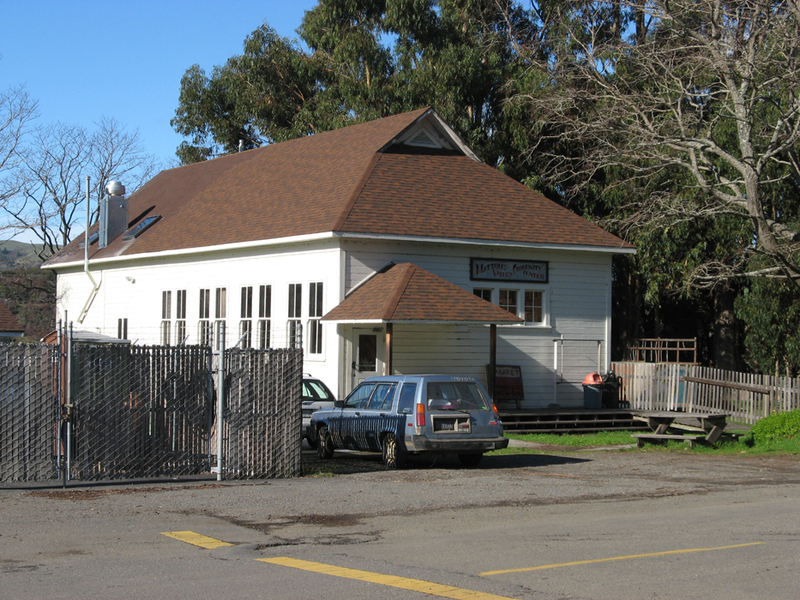 Truman Merrifield, or Mayfield as the name is sometimes spelled, was the son of Daniel Merrifield, a white man originally from Vermont, who got together with a Native Mattole woman in the 1860s. 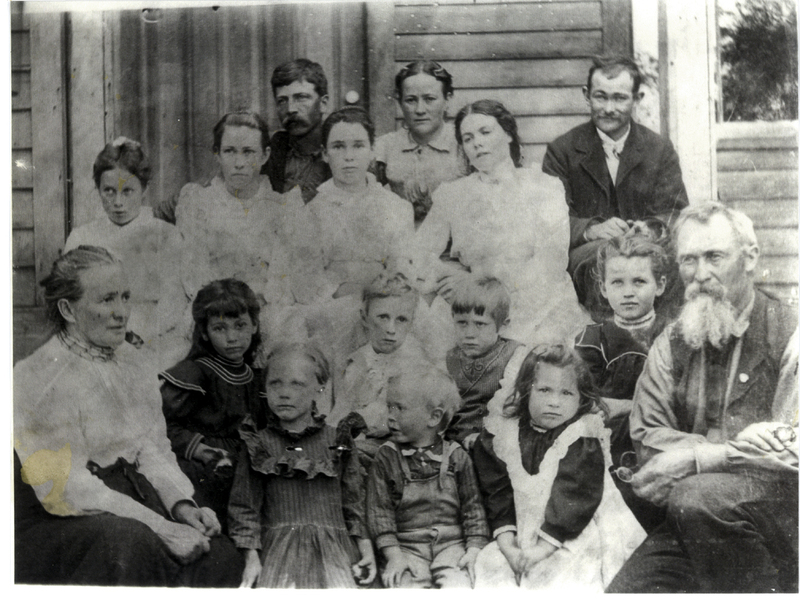 There was a daughter (Rhoda?– let me correct this later when i’ve looked that up), and son Truman, who married another Native or half-Native woman– here is their large family. 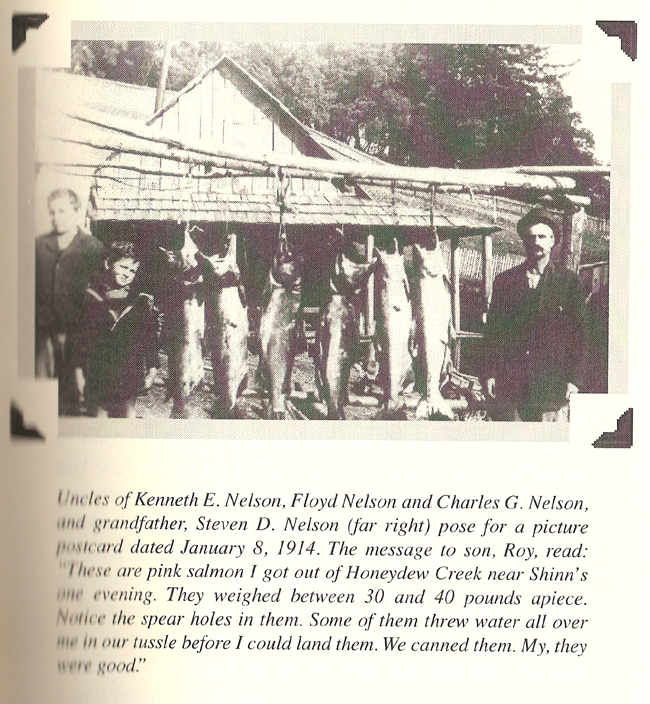 In 1999, Kenneth G. Nelson, born February 20, 1921, and raised in the Honeydew area, presented his seven grandchildren a book of his memoirs. 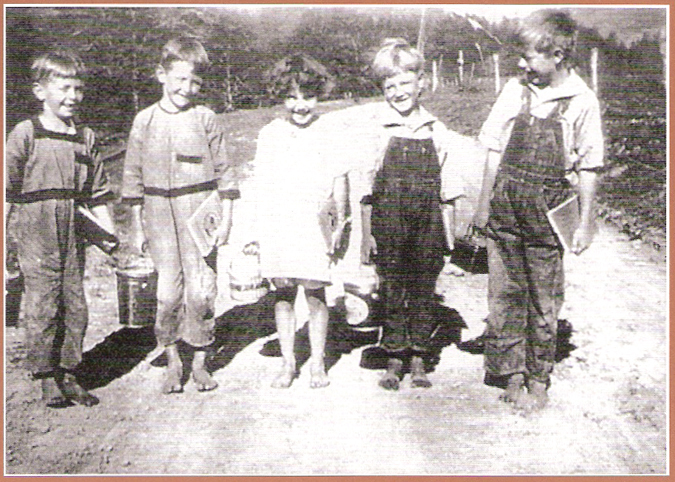 The cover photo of Thoughts of a Boy Growing Up shows young Ken with his brother Roy, Mildred Lindley, Jack Smith, and Leland Hadley, laughing in the sunshine of a long-ago school day outside the Upper Mattole School. It’s a great photo, truly eliciting the “era of ‘boyfoot boy with cheeks of tan’,” as Ken describes that time, in the volume’s dedication. I loved the book, which has not been widely available, though i wished it contained more pictures. I can’t quite recall where i picked up my first copy, a hardback book. 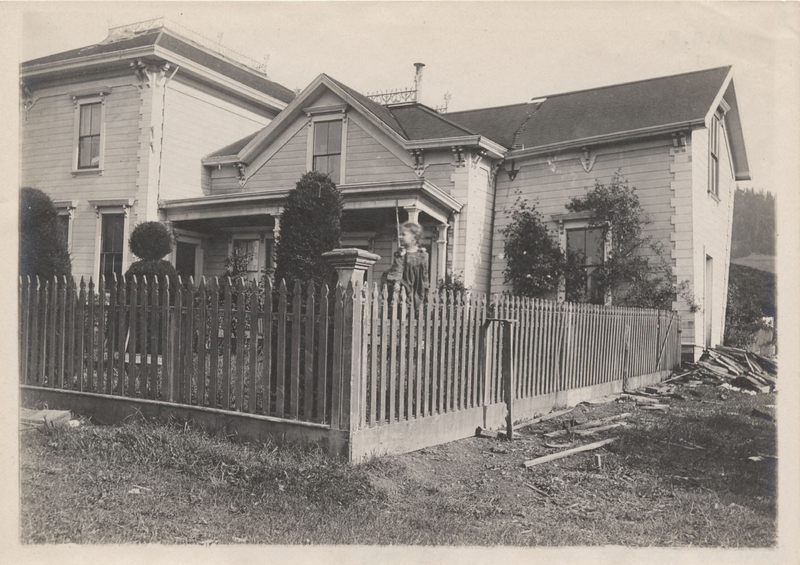 The first 69 pages concern Ken’s days in the Mattole, which ended when the family, due to Depression-generated financial difficulties, was forced to move to Lodi in 1930. Ken’s mother, Sue Black Nelson, had been raised there and Ken’s maternal grandparents gladly welcomed the family into their home until they got themselves set up, eventually as dairy farmers. 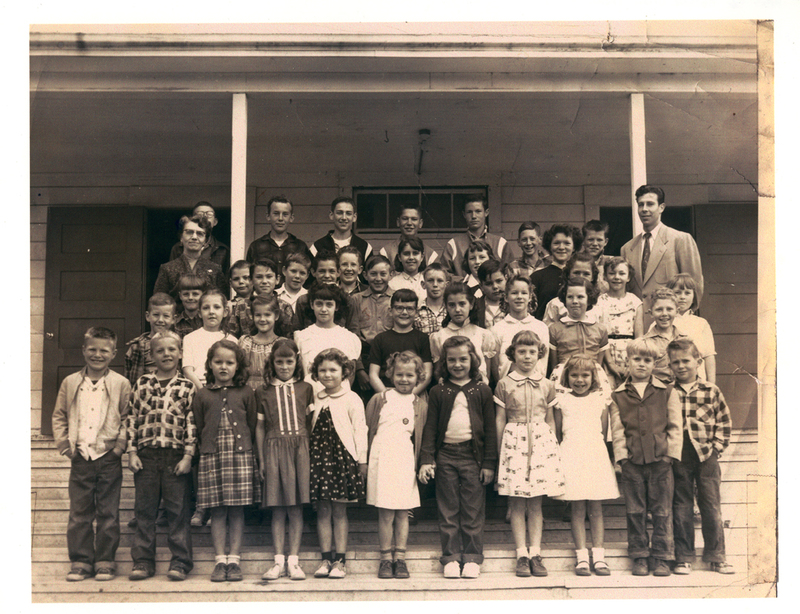 Ken Nelson’s paternal grandparents were Steven D. and Grace Nelson, who in the 1920s built the camp long known as Nelson’s, then as the Mattole Resort, and most recently as the Mattole Country Cabins. The scenic retreat is between Upper Mattole and Honeydew. Maud Nelson Hunter was Ken’s father Roy’s sister; she and her husband Ray Hunter took control of the Resort when Steve and Grace passed away. Maud and Ray’s daughter was Virginia Hunter Mast (also a Curzon and Tuxon in there, though i am not sure of the order), who finally sold the place out of the family, i think in the 1980s. Another daughter of Maud and Ray (and thus Kenneth G. Nelson’s first cousin) was Velma Hunter Childs Titus, who is as regular as she can be at MVHS events, and always quick with a fact, a story, or a picture whenever i’ve asked. These cousins are a pair of dynamos– you would never be able to guess their ages by their energy and sharpness of mind. I spoke with Ken on the telephone tonight, and he was, as they say, sharp as a tack, with his 90th birthday in a month. He gave me permission to reprint whatever i wished from his book. The book! That’s the good part. 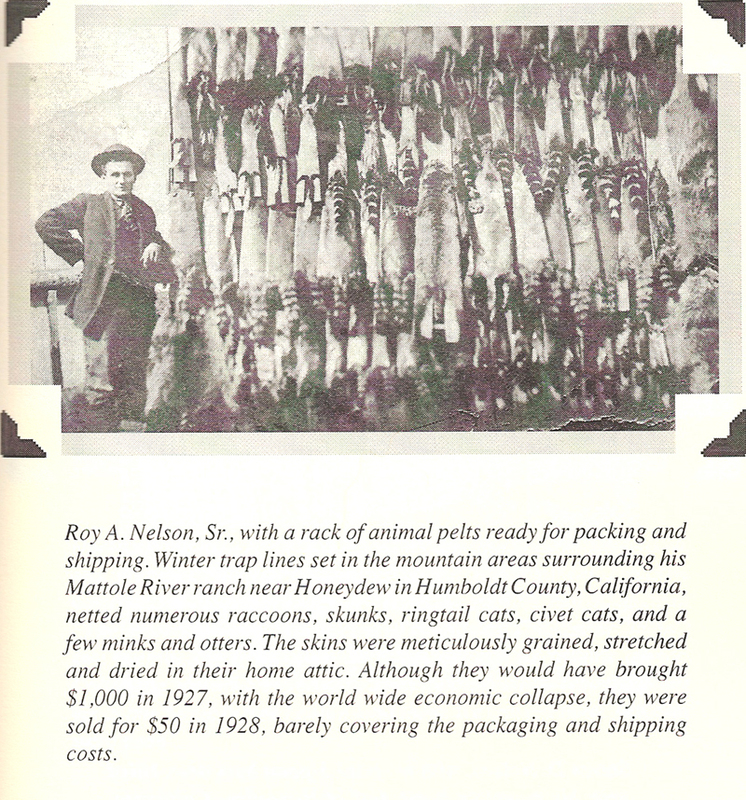 He recently republished his memoirs with a great selection of photographs. Just a couple of days ago i received a signed copy in the mail, via Velma Titus. What a wonderful surprise! The book itself was already delightful reading; Ken’s is a very honest and humble voice, and he’s an enjoyable, smooth writer. But the photographs– well again, as they say, a picture is worth a thousand words. Here are a few of the photographs from the book, along with Ken’s own captions. Please excuse the funny textures… something seems to happen when my pixels interact with the book’s pixels. Check comments below “Downtown near Major’s…” for more information about the store and its vicinity.